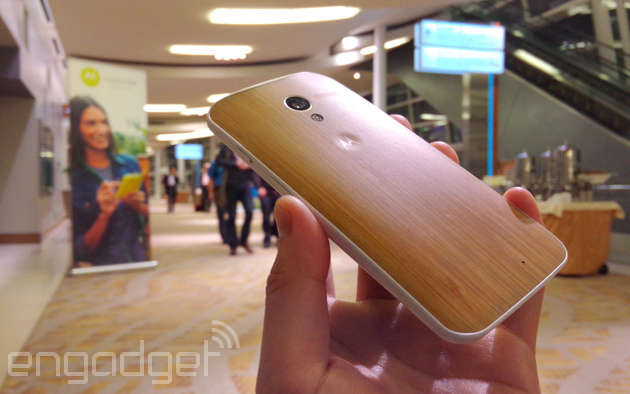 Under Lenovo, will Motorola have better luck with Chinese smartphone buyers? You may struggle to take Lenovo seriously after Ashton Kutcher, its new "product engineer," knelt before CEO Yang Yuanqing at the Yoga Tablet launch in Beijing. But this is the same Chinese company that's making a second-round purchase from IBM -- previously for its PC division with $1.75 billion, and this time for its x86 server business with $2.3 billion. Merely a week later (and just in time for Chinese New Year), Lenovo announced that it's also snapping up Motorola's smartphone business from Google for $2.9 billion, with the intention to crack the North American, Latin American and Western European mobile markets. When combined, Lenovo and Motorola ("LenoMo?" "Lenola?") will leap from fifth place to third in terms of worldwide smartphone shipments between Q4 2012 and Q3 2013, placing them ahead of LG, Sony and Nokia, but they still trail far behind Samsung and Apple. Looking at its home turf, though, will the deal do much to help Lenovo maintain its number two position in the increasingly competitive market in China? Or perhaps even knock Samsung off the top of the chart? Not directly, no. The last time Motorola launched a phone in China was in November 2012. You see, what Lenovo is gaining from this deal are the "legendary" Motorola brand and its product roadmap, but while Moto had a strong presence in China back in the day, it's been quite the opposite ever since Google took over. Leaving behind a tiny team in Beijing, any R&D talent it had at that point soon moved on to other local establishments like Xiaomi, Smartisan and, ironically, Lenovo. The last time Motorola launched a phone in China was in November 2012 with its RAZR i MT788; and about a month later, it sold its Tianjin factory to Flextronics. Nowadays, it's as if this American company is merely maintaining its customer service and social media presence in China -- including the occasional promotion of the Moto X, a phone that isn't even available there. 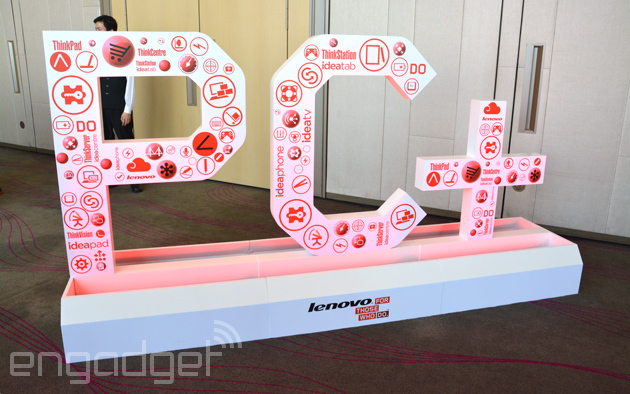 From that perspective, Lenovo's China division won't benefit directly from Motorola's assets. If anything, it'd be the Motorola team taking advantage of Lenovo to make a comeback there, assuming there's still such a plan after yesterday's announcement. At the moment, the Chinese market is torn between big high-end phones and very affordable devices. It could be interesting to see how consumers react to the relatively mid-range -- albeit well-designed -- Moto X, along with some of its software features that put many Chinese manufacturers to shame. The cheaper dual-SIM Moto G and the more powerful Droid Ultra series may stand a better chance, unless Lenovo's own vast range of phones get in the way, depending on the retail channel. Lenovo should have the manufacturing and marketing prowess to localize Motorola's custom phone service. Either way, Yang already promised that he plans to "protect the Motorola brand and make it even stronger," so it's likely that Motorola will return to the Chinese market, rather than skip the country completely. A bit like how Lenovo's IdeaPads have been co-existing with the ThinkPads in the same regions. What it'll need is some sort of special niche, and in a market where Nike's been offering its NIKEiD shoe-customization service since 2008, surely there's space for Motorola's Moto Maker as well? With the ever-increasing appetite among Chinese consumers, Lenovo should have the manufacturing and marketing prowess to localize Motorola's custom phone service, in order to lure those who want to take uniqueness to the next level -- be it a phone with various fluorescent colors, or simply just one with a wooden-patterned back. That'd be bad news for the other local manufacturers: Only Taiwan's HTC has made a similar attempt with the E1 back in April, but the response to the poor execution was, unsurprisingly, weak. The closest you can get right now is choosing a different back cover, case or stickers while ordering from Xiaomi (provided that you can even snag one before they sell out in a matter of seconds) or other Chinese e-tailers. That's hardly an authentic customization experience when compared to Motorola's service, and Chinese mobile consumers are ready for something classier. This Lenovo-Google deal isn't just about products. While Google is keeping the majority of Motorola Mobility's patents (about 8,000 registered in the US and about 15,000 overseas), Lenovo will take ownership of more than 2,000 of those assets, as well as a license that grants access to the remainder. To put that into perspective, Lenovo already owned "more than 6,500 globally recognized patents" prior to today's announcement; whereas Coolpad of Yulong, the number three phone vendor in China, has only obtained 4,000-plus patents so far. While ZTE and Huawei have sold fewer smartphones in China, they have been granted a lot more patents -- more than 13,000 and 30,240, respectively -- due to their broader range of products and services. On top of that, there's also Motorola's engineers, with Lenovo claiming that it'll be taking in all 2,800 of them as a result of this deal. The only notable part that Lenovo's missing out on is the funky Advanced Technology and Projects division (the folks behind the modular smartphone project); but hey, you get what you pay for -- there's a reason why Google's selling Motorola for a fraction of the $12.5 billion it paid back in May 2012 (though let's not forget the $2.2 billion it also got back from selling Motorola Home last year). It's hard to imagine what these future phones and their business model will look like, but we're already interested in the results. And with Lenovo's strong foundation in China, it'd know how to give Motorola its glorious return to the country, without cannibalizing its own product line. The faster that these two companies are able to put the pieces all together, the harder they will make it for the rest of the Chinese competition to catch up.